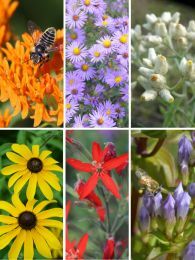 This top-selling mix includes "pretty-darn-quick"-to-establish prairie flowers and grasses to provide more immediate color and a naturalized look. For full-sun to partial-shade sites with medium soils. 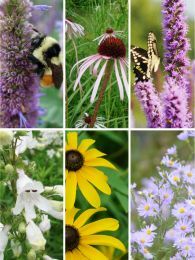 The maximum height of any grass or flower included here is no more than 4-5 feet, with most species at 3 feet. Although some of the native plants in this seed mix have ranges that extend beyond zones 3-7, the majority will do best in this zone range. For more detailed information please see the RANGE MAP for each species. View the complete species list, including % by weight, under COMPONENTS. Q Stan • 01/12/2018 What is the average height of this planting? A Prairie Moon • 01/15/2018 The two primary grasses in this mix (Little Blue and Side-oats) will top out, when mature, and at the end of summer, around 3 feet. The flowers of a couple species will top out at 5 feet, again when mature, and in full bloom. 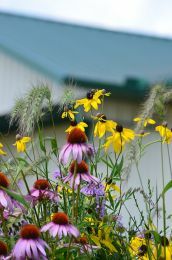 The height of any prairie planting will also be dependent on the conditions it’s planted in; mixes grown in drier conditions will be shorter than those in richer soils. Surrounding competition, and maturity of the plants will also play a role. Q Nina • 06/24/2018 Can I plant your seed mixes if I have an area that is less than 500 sq. feet? Is it possible to use only half of the seeds in the pack? A Prairie Moon • 06/26/2018 Yes! Our pre-designed seed mixes have a very high seed count (nearly 200 seeds per sq ft on this mix), so seeding a 500 sq ft mix over a 250 sq ft area would be a lot of seed! Keep the unused seed for a future planting. 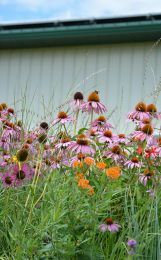 Native seed can remain viable for a long time if stored, sealed, under cool, dry, constant conditions; likely in your home, rather than in a garage or shed. 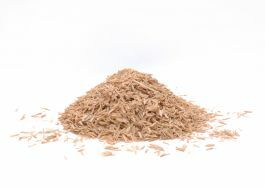 Q Dorota • 04/10/2019 After planting can seeds be covered with straw to prevent birds from eating them? A Prairie Moon • 04/10/2019 Thanks for writing, Dorota. For spring seedings, we advise lightly raking the mix’s larger seeds into the soil and then surface-sowing the small seeds. We intentionally use high seeding rates for our mixes to allow for some loss due to predation or erosion. Our experience is that birds seldom locate enough of the seed to have a great impact. Using a light straw mulch could help to hide seed and lessen the impact of heavy rains but be careful not to mulch so heavily that light cannot reach the soil.